There is a saying, “Behind every successful man, there is a woman”. In today’s modern times the role of woman has expanded many folds and now she is not only behind the success of a man but she also plays an important role in the success of a nation. 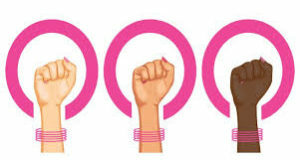 Women are an integral part of any society who play an important role in the development of a country. Therefore, they should be provided with platforms to utilize their talents and improve their standard of living. Unfortunately, that is not the case in Pakistan. Social spaces of expression for women have increasingly been squeezed in Pakistan over the years. 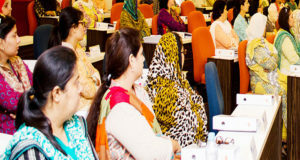 According to the Global Gender Gap Report (2017), Pakistan ranks 136th on the attainment of education index, 140th on health and survival and 95th on the political empowerment of women, out of the 144 countries assessed in the report. Pakistan scored 0.546 overall on a scale wherein a score of 1.0 represents parity and 0 represents impurity. The country’s female/male population ratio was recorded at 1.06. 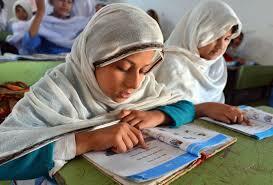 The index denotes the country’s widening gender gap over the decade, as it ranked 112 out of 115 in the year 2006. In the 2017 index, Pakistan only beat Yemen, whereas, even war-torn Syria is ahead of Pakistan. In such bleak conditions, internet and social media have acted as a silver lining for many Pakistani women. Take the example of an Islamabad based wheelchair-bound writer and model Muneeba Mazari, who is now considered a beacon of light and an inspiration by many Pakistanis. She took out on social media to express her thoughts and voicing her opinion regarding women power. Her positive role as a motivational speaker and her social work for women enabled her to represent Pakistan as the UN goodwill ambassador for gender equality and empowerment of women. Many women opted for social media platforms like Facebook, Instagram and Snapchat leaving behind the old conventional ways of businesses hence, minimizing their dependency on others by becoming online entrepreneurs. Now women who cannot go out for a job have shifted to social media for the very purpose. The idea of running a business remotely and still being able to cater to a large number of clients is a major attraction for women who want to do something in life. We can now find numerous groups and pages on different social media platforms that are run by women for business purposes. Maham Sohail runs a food delivery service page on Facebook, Home Bakers. As the title suggests, she delivers homemade food items of the everyday menu to her customers, operating from the comfort of her home. Another inspiring example is Samara sheikh a 23 years old young businesswoman, running online card business named Carolina. Most women have made Facebook pages to sell their homemade jewellery, food items, clothes etc. freelancing jobs are also advertised on social media platforms, some of which are exclusively for women. Keeping in view women’s interest in earning their living while sitting at home, many organizations have started projects to use the internet to teach and train women. They offer a safe online environment for women to express their opinions. Besides creating job opportunities social media has also played a huge role in creating awareness among women. It has shed light on women’s issues that were previously ignored or considered a taboo. For the last many years women related issues were highlighted in Pakistan. An eight-year-old girl was raped and murdered in Kasur. A few days after she was reported missing, her body was found in a pile of garbage, photos of which were circulated online. Social media users were enraged over the case as they demanded that the culprits be arrested and convicted immediately under the hashtag #JusticeForZainab. Campaign #MeToo also went viral on social media in Pakistan. The MeToo movement was raised against sexual harassment and many celebrities also took part in it. Campaign #Timesup also took on social media, Time’s Up started the public conversation about women’s issues in Pakistan, highlighting the obstacles women encounter in their daily lives, both at personal and professional levels. “Aware Girl” is another campaign being run by Gulalai Ismail, who is a Pakistani activist. The campaign promotes equality and peace. Websites such as Twitter, Facebook and Instagram have given women an amazing opportunity to not only raise their voices about important issues but at the same time these platforms have also given women an opportunity to start their own businesses. As social media grows, it gives us the cultural influence to ‘be the change’. It has made women, and other minority communities realize how strong they are, together. Social media has played a major role in changing the way we communicate women issues. Despite the entire backlash that social media undergoes, we should applaud the fact that due to these new technological discoveries, women’s rights are taking centre stage. Digital power is partly responsible for this innovative, robust wave of awareness and independence.